If you suffer from an exceptionally sweet tooth, yet want to watch your weight and prevent the kind of harmful health affects commonly associated with the refined sugars contained in our standard snacks and treats, you’ll need to find a healthy alternative. 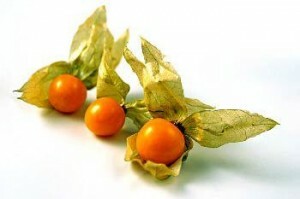 Incan berries, the incredibly sweet and unbelievably healthy ‘Golden berries’ from the Amazon, certainly fit the bill! Incan berries grow on the Physalis Peruviana, a perennial plant that is a member of the nightshade family and native to the Amazon regions of South America. A potent superfood packed with protein, the fruit is a smooth yellow berry, around 1–2 cm in diameter. It is exceptionally sweet on the outside and crammed with crunchy, citrus flavour seeds on the inside, resulting in its trademark bittersweet taste. Incan berries are usually available in the form of a dried fruit, which look similar in appearance to sultanas. Incan berries go by a variety of different names including the Golden berry, Aztec berry and Peruvian cherry to name but a few. They have been harnessed by indigenous tribes for centuries, as both a valuable source of food and a traditional medicine, used in the treatment of a number of diseases and conditions including cancer, leukaemia, diabetes, malaria, asthma, hepatitis, dermatitis and rheumatism. The seeds of Incan berries are known for their mildly laxative effect, which promotes a healthy bowel movement and prevents a build up of toxins in the body. Incan berries are extremely rich in beneficial vitamins, minerals and other essential nutrients, which is why they are often referred to as the ‘goji berries’ of South America. An evaluation published in the Journal of Medicinal Food 2009 found that Incan berries have potential anti-diabetes and anti-hypertension properties, whilst another report published in Food Chemistry that same year, revealed that the ‘withanolides’ found in the Incan berry plant exhibit anticancer activity. Below are some of the powerful nutrients, which earn Incan berries their superfood status. Incan berries are a unique source of vegetable protein. In fact, they contain an astonishing 16 per cent of this valuable nutrient, which is more than whole wheat for example. We require protein for muscle recovery and growth, optimising our body’s ability to absorb nutrients and maintaining healthy cells. Incan berries are rich in vitamin C, which is known to boost our immune system, offer protection from viruses and bacteria, heal wounds, reduce cholesterol, increase cell lifespan and actively prevent scurvy. Incan berries are an excellent source of vitamin A, which is crucial for healthy eyesight, growth, appetite and taste. Incan berries benefit from a high bioflavonoids content. Bioflavonoids are also known as vitamin P and boast powerful anti-carcinogenic, anti-inflammatory, antihistamine and antioxidant properties. The pectin found in Incan berries is a heterogeneous polysaccharide that has the ability to regulate our blood sugar levels. It also balances cholesterol levels, strengthens our immune system and can protect against certain types of cell mutations and cancer. Incan berries additionally contain a small amount of melatonin, which can help regulate our biorhythm and is helpful in promoting a sound night’s sleep. Evidence also points to melatonin being able to prevent or cure diseases caused by oxidative stress, such as neurodegenerative diseases associated with aging. Dried Incan berries can be enjoyed as they are, or combined with cacao nibs, nuts and an infinite selection of other dried fruits including goji berries and camu camu berries. They are a perfect addition to homemade trail mix, an ideal ingredient in all manner of raw cakes, biscuits and chocolate and make a deliciously tangy dessert topping. The post Incan Berries – Pure Gold From South America appeared first on Superfood blog - Healthy, Rawfood Lifestyle.